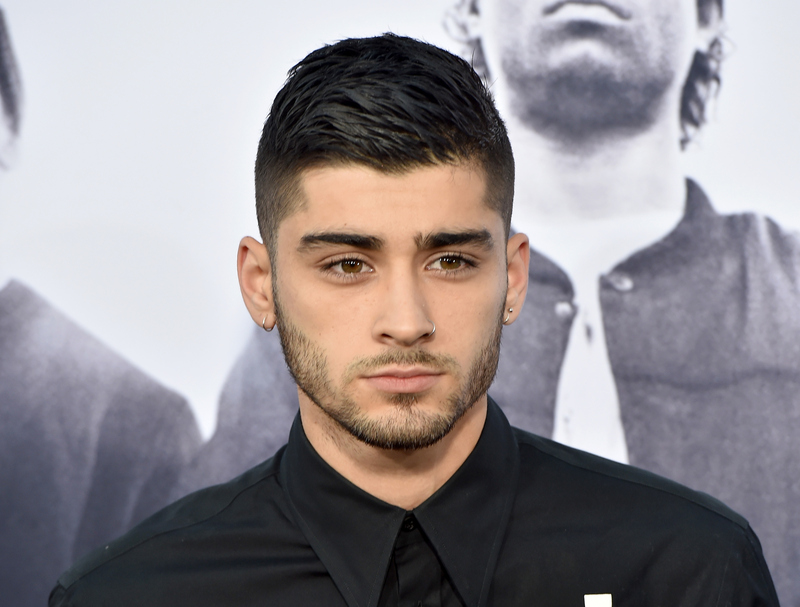 NEW YORK -- Since he left One Direction, Zayn has been public with his battle with anxiety. But the singer also says he was struggling with even more behind-the-scenes -- a possible eating disorder. Zayn made the revelation in his new autobiography “Zayn,” out Tuesday via Penguin Random House, and also discussed it in an interview with The Associated Press. In an interview with the AP, Zayn explains that he was so busy on the road, he would forget to eat. “I realized that I wasn’t eating as much just down to the amount of work that we were doing ... our schedule was kind of crazy so we were all over the place,” he said in an interview on Friday. “It was just more down to losing track of, you know, actually eating and being super busy and getting caught up with other things that 17 or 18-year-olds do, which normally entails them going out, drinking or partying, so it was a mixture of everything,” he said. In the book, his prologue is dedicated to 1D and the phenomenal success they achieved in a short time - selling out stadiums around the world, winning countless awards, launching back-to-back hits and platinum-plus albums. Still, he bolted from the group because he felt lost and needed time to collect his thoughts. He yearned to sing songs in a different style and write his own lyrics. “What you’ve got to understand is that none of us really had much say in the music,” he writes. Zayn’s solo album, “Mind of Mine,” bowed earlier this year and veered into more R&B territory. It debuted at No. 1, but Zayn wasn’t prepared for solo stardom, even canceling performances because he said he was too anxious. In June, he bowed out of his performance at the Capital Summertime Ball perform in London at the Wembley Arena, where he previously performed with 1D. Zayn said he now is able to cope with it, though he declined to offer specifics to the AP. “I don’t really disclose that information, like publicly, what I do to manage certain things, but I do the things that are required,” he said. While he details some of his difficulties in the book, don’t expect a juicy tell-all: he rarely mentions former fiancé, Little Mix member Perrie Edwards, and doesn’t talk about current girlfriend Gigi Hadid. Still, there are some insights for Zayn fans: He writes that if he wasn’t a singer, he would have probably gone to college to study English or worked as a songwriter and producer for other artists. As he reflected on his time in 1D and leaving the group, then releasing his own album and No.1 hit, “Pillowtalk,” Zayn said he’s happy. He also felt that being in 1D was a juggernaut he couldn’t quite handle.